I recently had a somewhat disturbing experience with an author troll; it started with a review I posted on Amazon. The review had to do with the length of the book in relationship to price and made the point that the book was not a good value. After stating my opinion on various aspects of the book, I compared the book to a novella—not because it is fiction, but simply as a comparison of the actual length of readable text. I used the word novella with the word basically in parenthesis when I wrote that in my opinion the publisher had gall to charge ten dollars for a Kindle non-fiction book of less than 150 pages. Despite the fact that this review was in no way related to his work, this troll felt compelled to not only comment on my review but to take it to the extreme. 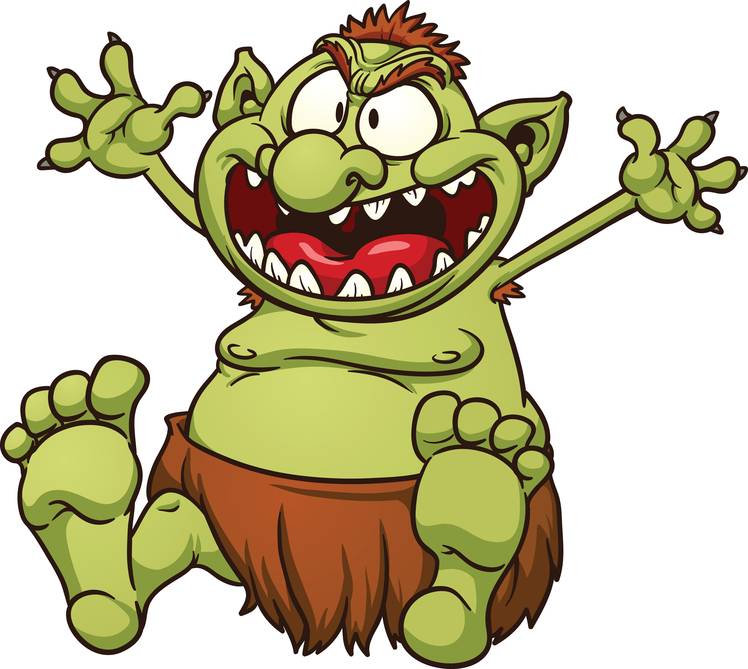 Although the troll uses a pseudonym, he claims to be the author of three books. When his rebuttal to the review failed to rattle my cage, he resorted to personal attacks; calling me a dimwit and attacking my grammar. Such behavior is reprehensible and I feel that I must now respond, so I share with you an open letter to my Amazon troll. I will start by clarifying some things. First, in doing a review my focus is not on grammar, my focus is on providing constructive criticism and/or guidance for potential purchasers of the book. Since 2010 I have written almost 3,000 reviews. If I took the time to polish and shine every word of every review, that number would be reduced dramatically. The major portion of my reviews are posted on either Goodreads or my blog, where trolls such as you are not allowed to run rampant. I only post reviews on Amazon when I have made a commitment to do so. I have no desire to be an Amazon Vine reviewer, and post these reviews simply to help readers find new books worthy of purchase and to forewarn them of those that are not. Like every other reviewer on Amazon, these are my opinions and readers are free to consider them for what they are worth. As a reviewer, I am sought out by bestselling authors in both the indie and traditionally published markets. The primary reason for this is because my reviews are honest and I don’t hold back. I give honest and unbiased opinions. This is true of not only my reviews, but also my work as a beta reader and my services in manuscript evaluation and author consultation. In my day job, I consult with multi-million and multi-billion dollar organizations and their executives. They pay me well to do so. Therefore, these are the areas where I choose to spend my time and energy. As for posts, important posts go to an editor for evaluation. In other words, I am paid more for my business capabilities, including analysis, which I bring to all aspects in my career, both in the healthcare sector, as well as the publishing sector. The gist of what I am getting at is that if you think you intimidated me….YOU DIDN’T. 1) You chose to hide behind the mask of anonymity, which tells me that you lack the courage to voice your opinion under your real name. Unlike you, I say exactly what my thoughts are in person and I use my “real” name. 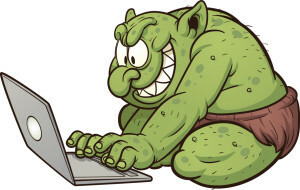 2) You identify yourself as an author, yet you have time to sit behind a computer and troll. What this says to me is that you are not a successful author, which is something I will get into later. 3) When someone “brags” about the number of books that he/she has written, it doesn’t impress me. Like most book reviewers, I see it as an indication that the person is not a successful author. Why?? Because I have been in this industry long enough to know that number of books does not always equate with success. 4) You come across as an elitist blowhard by talking down to people. This leads me to believe you are a low self-esteemed bully who thinks that only by beating down others can you lift yourself to a higher level. This is not only untrue, but it is sad and pathetic. 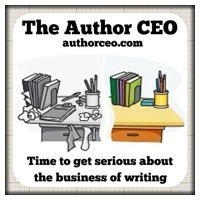 I have had the pleasure of working with hundreds of authors. This includes Amazon bestselling authors. This includes Barnes and Noble bestselling authors. This includes USA Today bestselling authors. This includes NY Times bestselling authors. I also work with authors who are trying to develop their market. Lucky for me, the majority of authors are unlike you. I would not be as passionate about this industry if they were. One thing I have noticed with all these authors is that they take their craft very seriously. 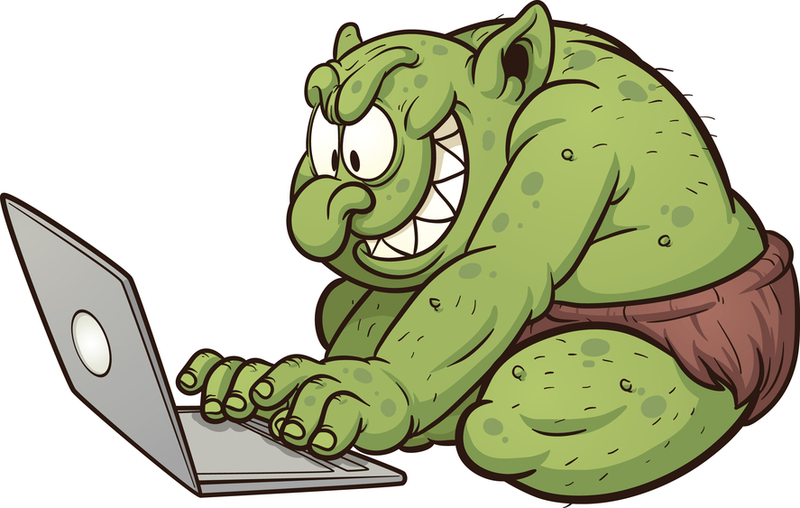 Instead of spending time trolling on Amazon, they are researching ways to expand their market, market visibility and/or ways to improve their writing skills…to pave their way in an incredibly tough market. ALL of these authors have one thing in common. They are incredibly professional. They do not have the time, the inclination or the desire to be seen unprofessionally. They are serious about their craft and their job as an author. I respect almost everything about indie publishing. I have had the privilege to read incredibly talented authors that I might not have otherwise known. As the benefits of indie publishing continue to expand and former traditionally published authors become more comfortable with the navigation and benefits of the industry, this market will explode and make it even tougher for new authors to be recognized. I have said since day one, the cream will rise to the top. On that note, although it is improving, the indie market and authors still have a certain stigma to overcome. When closed-minded individuals behave as you did, it validates the thought that indie authors shouldn’t be seen as credible or professional. As one who is currently working through several indie business ventures, unprofessional behavior is one of the chief complaints of potential customers. I will leave you with this final thought: please realize that this advice also applies to the “reviewer” trolls who are out there. My column is dedicated to authors. Authors affect other authors. Reviewer trolls are simply seen as pathetic individuals who probably don’t have a life outside their keyboard. They don’t affect an author UNTIL THE AUTHOR RESPONDS TO THEM! 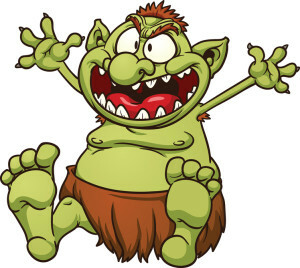 So, author troll, instead of spending your time trolling Amazon to put down book reviewers, you might want to invest time in improving the quality of your work and your book sales. There are numerous books out there for you to take advantage of. I have a list on my website. If this is reaching a different author troll, I would encourage you to take my advice to heart.